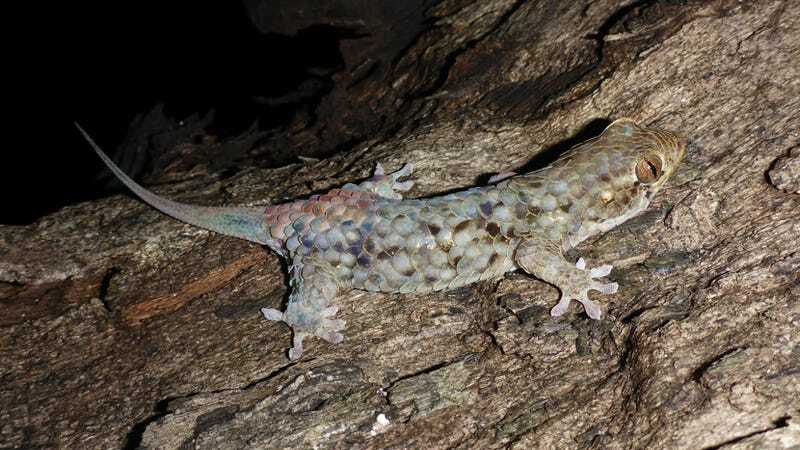 As described in the latest edition of Peer J, this new species (Geckolepis megalepis) has the largest scales of any known gecko, both in relative and absolute terms. 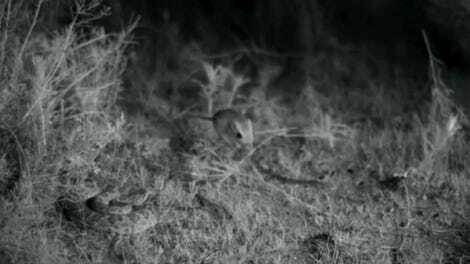 The abnormally big scales tear off exceptionally easy, providing the animals with an effective anti-predator defense mechanism. Other geckos have been observed to shed some skin in order to escape, but only if they’re grasped very firmly. These guys do it actively, and at the slightest touch. In other lizards, the scale regeneration process takes a long time, but the fish-scale geckos can grow their armor back in a few weeks, and without any residual scars. The researchers, led by Mark D. Scherz from the Ludwig Maximilian University of Munich and The Zoological State Collection Munich, hypothesize that large scales tear more easily than small scales owing to the increased surface area relative to the attachment area, and because the large scales provide more surface friction. The regeneration process for the scales is still not very well understood, but further insights could have applications to human medicine. To that end, scientists have taken a look at salamanders and lizards to learn more. Humans wouldn’t grow back scales or tails, of course, but similar biological processes could allow people to regrow and restore function to any part of the body, including the heart, spinal cord, and even parts of the brain.